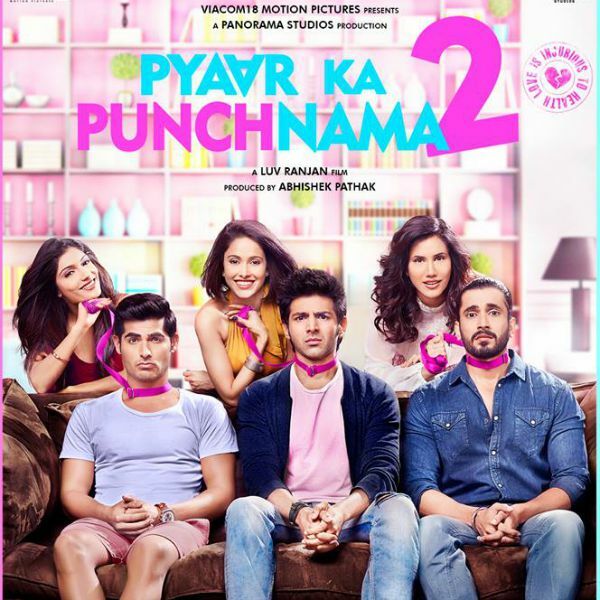 FUNNY INFORMATION-SURPRISE Must Watch The Epic Trailer Of "PYAAR KA PUNCHNAMA -2"
Must Watch The Epic Trailer Of "PYAAR KA PUNCHNAMA -2"
You all loved them in Pyaar Ka Punchnama and now they are abck with Pyaat Ka Punchnama 2!! Yay!!! Its time that you can again make fun of those in Relationships. The epic movie which defines what a Relationship actually is back with its sequel with more the fun and more the CHU***YAPA a man goes through in a Relationship. The teaser was launched last week and the trailer was set to launch today and it has been released and going viral all over. Pyaar ka Punchnama star Kartik Tiwari is ready to blow your mind with his non-stop one take Dialogue delivery even in the sequel of the Movie. The movie is produced under the Banner Viacom 18 Motion Pictures and stars : Kartik Tiwari, Raayo S Bakhirta, Divyendu Sharma, Nushrat Bharucha, Sonali Sehgall and Ishita Sharma. The movie is all set to release on 16th of October 2016. Watch this epic trailer of the movie which will surely tickle your bones.